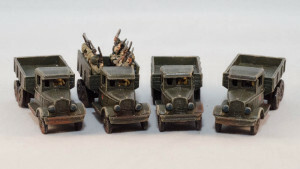 BA-64 – For recce – very good value at 25 to 30 points per vehicle. May be useful for removing the gone to ground status of those pesky anti tank guns that can impede the advancement of the hen-and-chicks impeded tank hordes. 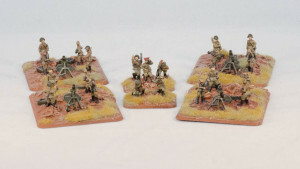 WWPD painted some of them as well and have interesting commentary. 120-PM-38 Mortars – Cheap artillery to pin down those same pesky guns. ZIS-6 Trucks – to give the mortars some mobility when bringing them out of reserves. I-153 Chaika Biplane – Looks cool. 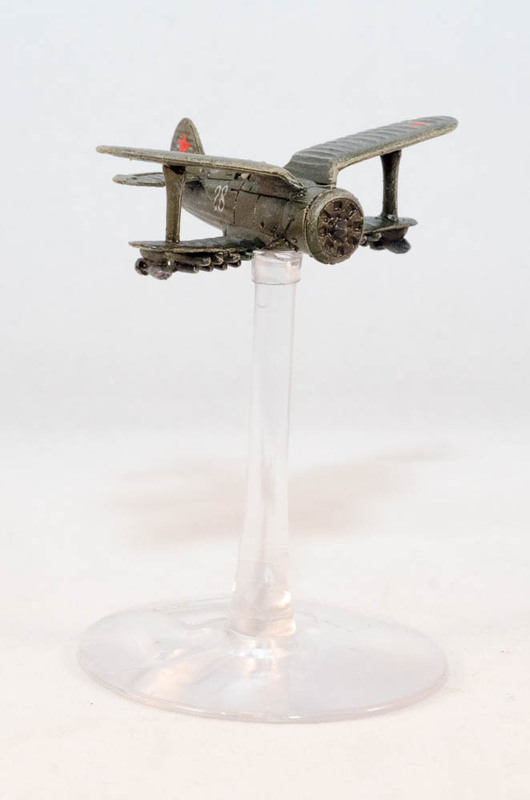 Effective bombs in mid-war. Highly recommended. Will try at next Mid War event. They do not look bad. Look below at the pictures. Will report back soon on how they performed at the next tournament. 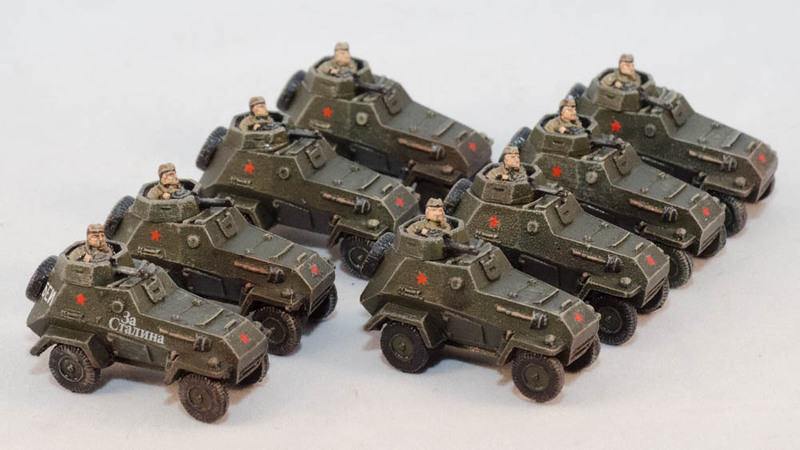 One Response to "Flames of War Soviet Army New Models Painted"